Ok, so here we are in sunny LA. The whole balcony fiasco is behind me. To make us feel better they gave us credit at the spa, a bottle of wine and a floral bouquet. I think the idea was to make us drunk and relaxed and that way we wouldn’t be so cranky about the room. It worked. You know I always get fired up at first and then common sense takes over and I chill out. 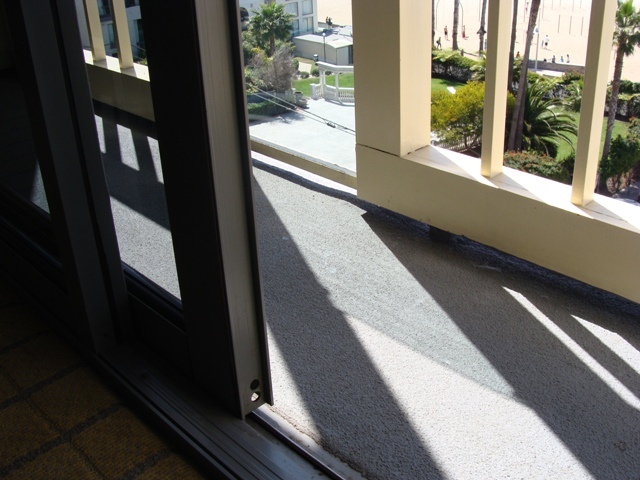 But just in case you are wondering… the room is exactly the same but the above photo is my new balcony. 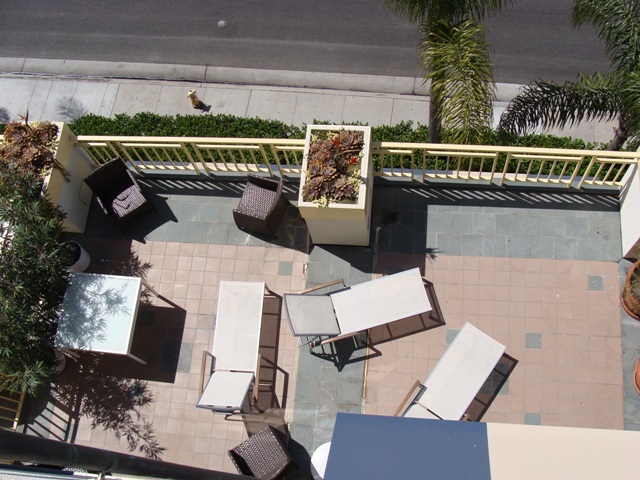 Perhaps the following photos will put it in better prespective, just in case you were wondering why I was such a nut about the balcony. 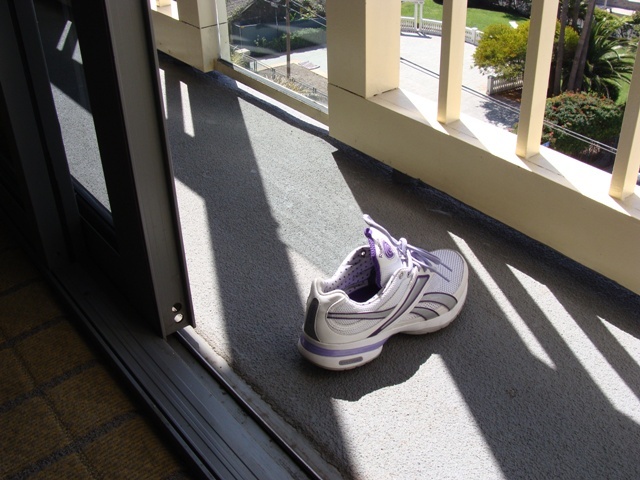 Yes, that is my shoe, no trick photography, my new balcony is just a little larger than a size 6 and 1/2 shoe. By the way, that is my special Reebock shape up sneaker. I am wearing it all the time and have high hopes that it will shape up my legs and arse just like the commercial says. Later on that. Now back to my balcony. From my skinny little new balcony I can see directly below to the LARGE balcony that I do not have. See all the lounge chairs and seating that I don’t have. I am just saying! It is so hard to sit and relax on the new balcony as the sneakers have yet to do their job and so my arse barely fits out there.